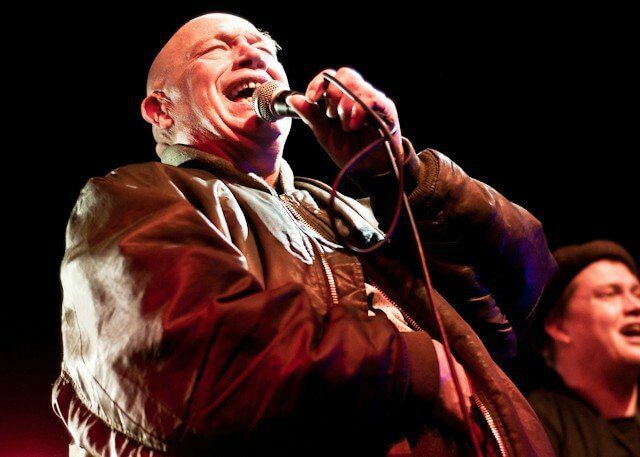 Bad Manners are a legendary English two-tone/ska band led by Buster Bloodvessel. They are one of the most iconic bands from the ska revival in the 1980s alongside Madness, The Specials and The Selector. The band was formed in 1976 when the members were at school together. After playing a lot of shows in London they became increasingly popular and signed to Magnet Records in 1980. They released 4 studio albums on this label Gosh It’s…Bad Manners, Loone Tunes! Forging Ahead and Ska ‘n’ B. The band were in the UK’s top singles chart consistently for a year. Some iconic hits you might recognise are My Girl Lollipop, Lip Up Fatty and Can Can. Something else you might recognise is the unmissable and outlandish frontman Buster Bloodvessel who’s shaved head antics would often dazzle and shock the crowds. Infamously his lavish exploits got him banned from Top of The Pops. Despite Busters rowdy antics the band are stellar performers and have perfected their craft over the years. From touring nonstop for two years across the world to signing with various to signing with various record label, Bad Manners decided to break up in 1987. Buster continued to perform in a new band around London and was always keeping busy. Bad Manners had brief moments where they would perform, but it was never the original line-up. Their first performance since they broke up was on Never Mind the Buzzcocks in 2004, after this they would be seen to perform at various festivals. In December 2012 the founding members got together in Soho to perform. After that Ban Manners toured the UK to celebrate their 40th Anniversary. The band are still the high energy ska lover they’ve always been.